Ofcom requires all landline and mobile telephone companies to provide a number of services for customers with disabilities . One of these is access to an approved text relay service for people with hearing or speech impairments. Text relay offers text-to-speech and speech-to-text translation services. A relay assistant in a call centre acts as an intermediary, enabling people with hearing or speech impairments to communicate with other people over the telephone. Ofcom approves text relay providers, and has set out minimum standards for the service to ensure users have a good experience. BT is the first provider to have gained Ofcom's approval for its Next Generation Text Service. All other telephone companies currently give their customers access to BT's service. We have been working with disability and industry stakeholders to deliver improvements to the text relay service to give a better experience to its users. increased conversation speeds for users with good/understandable speech. More information on our work to improve text relay services can be found here. How do I use text relay? You can access text relay using a range of equipment including textphones, PCs, laptops and smartphones. However, you will need an internet-connected device to benefit from all the improvements delivered by next generation text relay. How do I call someone who is hearing-impaired or speech-impaired? Just dial the number they have given you. You don't need any special equipment. If you used text relay to call hearing or speech-impaired people before the launch of NGTR, you may be used to dialling the prefix 18002 before the telephone number you were calling in order to bring a relay assistant in to the call. Aled has a pay-as-you-go mobile deal. A £10 top-up lasts for one month and gives him 75 minutes, 500 texts and 250MB of data. On Monday, Aled uses his smartphone to make a text relay call, reading the text on his laptop using Wi-Fi in a cafe. The call comes out of his 75 minute voice allowance. On Tuesday, he makes a call from a landline, reading the text on his smartphone. The data used by the 'Next Generation Text Service' app to display the text comes out of his 250MB data allowance. This method will still work, but hearing and speech-impaired users can now be allocated a landline or mobile phone number, known as a TextNumber, which automatically brings the relay service in, so it is not necessary to dial the prefix. You can find out more about TextNumbers below. I am hearing-impaired and/or or speech-impaired - how do I make a text relay call? To make a text relay call, you need to dial 18001 followed by the telephone number of the person you are calling. To use text relay on a device such as a smartphone or computer you also need to download the free Next Generation Text app from www.ngts.org.uk or from a marketplace such as Google Play or the App Store. a single device such as a smartphone. This will only work if you also have access to Wi-Fi, or if your device is able to handle a phone call and a 3G or 4G internet connection simultaneously. For more information about which handsets can do this go to www.ngts.org.uk. If you have a textphone, you can continue to use it, but you will not benefit from the enhanced features of next generation text relay, such as the ability to hear the other person's voice and see the text at the same time. Sally loves to speak to her grandson Freddie on the phone, as he lives too far away to visit often.She is hearing-impaired and struggles to hear his words, especially when he is excited. With Next Generation Text Relay she can hear Freddie’s voice and read the text on her tablet to understand what he is saying. It doesn’t matter that Freddie is too young to understand how the relay service works – the conversation flows naturally and he is happy to hear his grandmother’s voice. If you are a hearing-impaired or speech-impaired user you also have the option of having a new phone number - known as a TextNumber. A TextNumber is a standard 11-digit phone number that will bring the relay service in to the call automatically. This means that people calling you will not have to dial the 18002 prefix before your number. Mobile TextNumbers begin with 07 and landline TextNumbers begin with 03. You can give your TextNumber to friends, family, colleagues, tradespeople, your doctor - anyone you want to be able to call you easily. 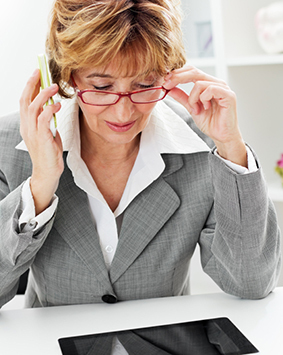 They don't need to know about the relay service in advance, but you may find it useful to begin the call by saying something like "just a moment, please, I am reading captions on this call" to let the other person know that there may be a short delay before you reply to what they have said. You will need a TextNumber for each of the numbers you regularly use (for example: home, work, mobile). If you have a TextNumber, it will display as your Caller Line Identification when you make outgoing calls. How much does it cost to make a text relay call? Relay calls are charged at the same rate as a standard telephone call. The exact cost depends on your package. If you have a package with inclusive calls or a call allowance, relay calls should fall within this. Disabled users are also entitled to a special tariff to compensate them for the additional time taken by their relay calls. You will also need an internet connection to fully benefit from the text relay service e.g. fixed broadband/Wi-Fi, 3G or 4G. The NGTS app is designed to be very light on data consumption. Brian is profoundly deaf. He has a TextNumber linked to his home phone and calls a physiotherapist via text relay to make an appointment. The physiotherapist is with another patient, but she sees Brian’s missed call on her phone, and rings him back later on the number that was displayed. As it is a TextNumber, the relay service is brought in automatically. Brian tells the physiotherapist that he is reading her words on his computer, so there may be a short delay before he replies to what she is saying. The physiotherapist gives Brian some advice and arranges an appointment. She didn’t need to know about the relay service in order to call Brian. Ofcom has published a guide on managing the costs of your communications services here. Another good way to find out what mobile or broadband deals are available is to check out the price comparison sites which have been accredited by Ofcom. The Ofcom price accreditation scheme logo is awarded to websites that have had their price comparison services put through an rigorous independent audit. Why do deaf people need a phone connection to use Next Generation Text Relay? Can a bank or service provider refuse a relay call? What communications services are available for disabled people? Which phones are compatible with hearing aids? How much does it cost to make a relay call? Why does the NGT app disconnect after my text relay call finishes? How do I stop callers from leaving voicemail messages on my mobile phone if I miss a text relay call? Most of us will have received nuisance calls. Here you will find a series of guides which explain the different types of nuisance calls and messages and what you can do to stop them.